Chute Libre is a new creation by the LaboKracBoom circus company. 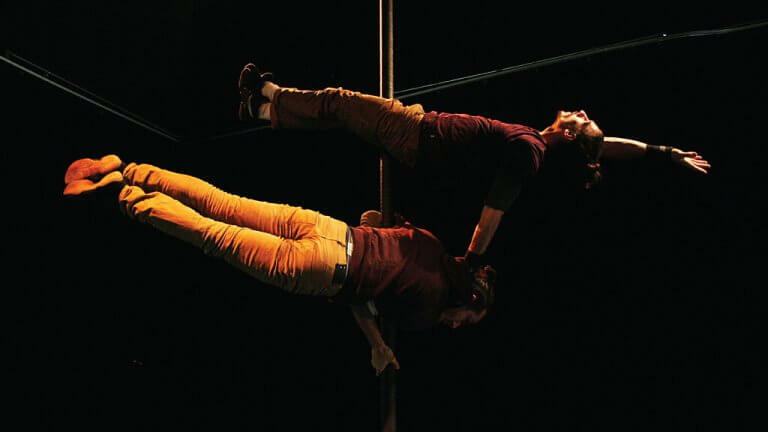 Based in Sherbrooke, QC, the company creates performances that integrate circus, dance and physical theatre since 2006. They have presented their work throughout Québec and Canada, as well as Europe, Mexico, and Brazil.